For a fourteenth consecutive year the Economic Policy Institute organized its traditional Summer Seminar for Young Public Policy Professionals from South Eastern Europe and the Black Sea region. This year’s seminar was held in the period June 3 - 7, 2013 in Flamingo Hotel Complex, Albena thanks to the kind financial support of the Hanns Seidel Stiftung and the Representation of the European Commission in Bulgaria. • Dr. Kiril Avramov, Department of Political Science, New Bulgarian University, Sofia. By introducing important and up-to-date issues, relevant not only for the EU member states but affecting also the countries with future membership perspective as well as the EU neighboring countries, this year’s prominent lecturers provoked the attention of the participating young experts, which resulted in fruitful discussions and deliberations. A very pleasant coincidence made possible also the participation of Commissioner Kristalina Georgieva, who addressed the audience at the closing session of the Summer Seminar. This year’s seminar agenda successfully combined the panel sessions and honorary speeches with plenty of interactive sessions, which additionally contributed for the better exchange of knowledge, experience, constructive ideas and best practices among the participating young public policy professionals. The methods of the World Café and the Public Debate were successfully incorporated in the seminar’s program and all the participants acknowledged the importance of such an approach for their better preparedness for tackling the future challenges in their everyday work, as well as for increasing their professional skills and capabilities. In addition, collaborative tasks on Country Branding and Public Diplomacy, specially prepared by the EPI team, provoked active discussions, leading to mutual learning and exchange of know-how and experience. One of the main messages outlined during the 14th seminar edition „Even in times of crises, we have to be more united” showed once again the necessity of the implementation of such fruitful regional initiatives, which are leading to successful transfer of knowledge, best practices, ideas and experience amongst the future leaders from the SEE and Black Sea countries. Throughout the years the annual training seminars have proved to be encouraging the face-to-face dialogue and promoting regular cooperation and networking not only among the young public officials of the targeted countries, but also between the SEE and Black Sea young experts and high-level officials from EU institutions, member countries’ decision-makers, think-tanks, etc. 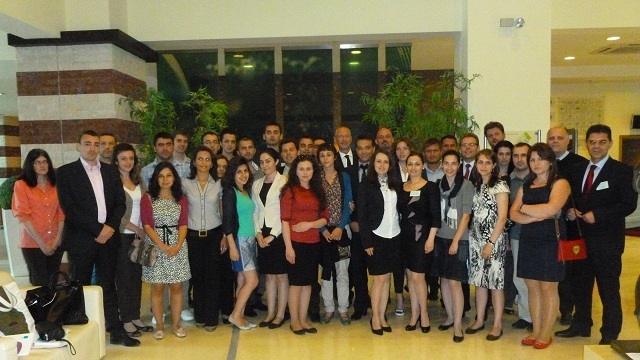 Thus, the Summer Seminar proved once again that it is a successful initiative, which is of great importance for increasing the administrative and professional capacity of the SEE and Black Sea young public policy professionals, as well as for enhancing the cooperating and networking in the region.